Life is an adventure. 1.) Either you take risks because you´re not 2.) afraid of making changes, or you find yourself 3.) uncertain about taking the first 4.) step....because the first step is always the 5.) hardest. 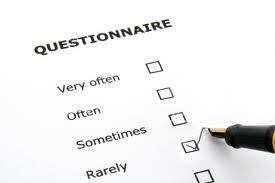 Do this questionaire to 6.) find out if you do take risks, or you prefer to 7.) take it easy and have a 8.) quiet life. 3.) You have planned a vacation with some friends, but at the last moment they 20.) let you down and they can´t go. What do you do? 6.) Your friends 33.) fix you up with a 34.) blind date. How do you react? One of my favorite songs by The Rolling Stones is "I can´t get no satisfaction"
*Recordar con los gerundios en las canciones no se le ponen la "G"; porque en las canciones no se pronuncia esa terminación de "ing"
I can't get no satisfaction, " " "
I can't get no, I can't get no. " " "
I can't get no, oh no no no. " " "
Hey hey hey, that's what I say. " " "
I can't get no, I can't get no, " " "
no satisfaction, no satisfaction, no satisfaction. " " "